Some readers might be surprised to learn that it wasn’t until after the victory of the Soviet Union over the Hitlerite invaders in the Great Patriotic War that a decision was made, by the Central Committee of the Communist Party of the Soviet Union (Bolsheviks) (CPSU(B), to work on publishing the complete writings of the Secretary General of the Party. Many speeches and articles had appeared soon after they were written as part of the process in which the CPSU(B) sought to make its policies and plans as widely known as possible amongst the population of the Soviet Union. 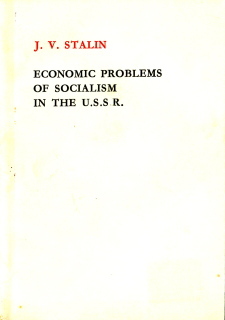 Many of these documents (as were other pamphlets and books produced about developments within first Socialist state) were published in other languages under the task taken upon itself by the Foreign Languages Publishing House in Moscow. At no other time in the past, or since, has a nation attempted to tell the world about what it was hoping to achieve in such a systematic manner. 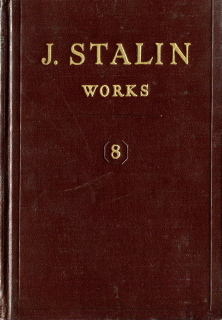 The writings of JV Stalin were part of this process but even after the decision in 1946 to collate all of his works in a chronological manner the task wasn’t rushed through. 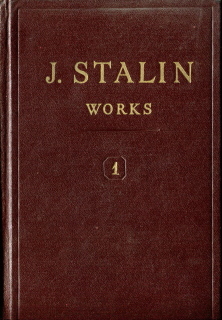 The plan to publish a total of 16 volumes was completed in the various languages of the Soviet Union but the publication of the English version was stopped after Volume 13 saw the light of day in 1955. This move by the Khruschevite Revisionists, in preparation for their denial of revolutionary Marxism-Leninism – which came out in the open at the 20th Party Congress in 1956 – was an attempt to deny a wider dissemination of the thoughts and ideas of the great, though flawed, Marxist-Leninist leader, the most preeminent in the International Communist Movement at the time. 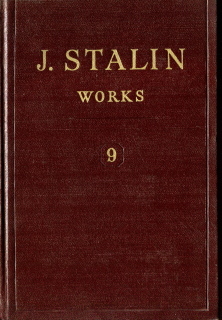 At least when it came to the works of JV Stalin there was a Russian version which could be translated into other languages for the benefit of Communists throughout the world. The task of Marxist-Leninist-Maoists to compile an accurate and comprehensive collection of the later writings of Chairman Mao Tse-tung was made more difficult, after his death in 1976, by the rapid pace with which the ‘Chinese Revisionists and Capitalist-roaders’ were able to seize the reigns of political and economic power in the country. 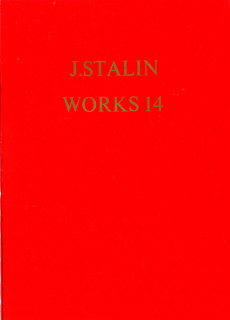 This page will (ultimately) contain all the available works of Joseph Stalin whether they be in compilations or published as individual pamphlets, and by a wide variety of groups and publishing houses throughout the world. The 13 volumes that were published in Moscow by the Foreign Languages Publishing House between 1952 and 1955 have been scanned by the comrades at Marx2Mao – we thank then for their work and effort. These have been scanned in the pdf processed format which results in much smaller sized files but has the potential of introducing typographical errors – it is hoped that any such errors do not crucially effect the contents. Once all the scans have been added to the page there will be the opportunity to compare these volumes with some versions scanned in pdf image format. 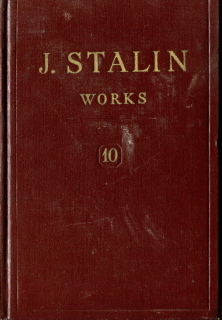 Volume 1 contains an interesting Preface, written by the author, where Comrade Stalin puts his writings in the early period into a personal, development, context as well as explaining the struggles that were going on in the Russian Social-Democratic Labour Party (later to become the Communist Party of the Soviet Union (Bolsheviks)). This Preface was written in January 1946 whilst the English edition didn’t appear until some time in 1952. Whether the original, Russian edition contained an Author’s Preface in subsequent volumes I don’t know. What is clear, however, is that what would have been a useful introduction to each volume doesn’t exist in the English edition. 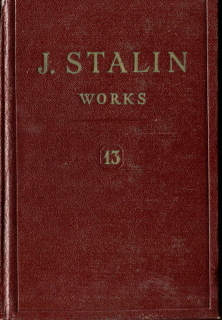 To make things a bit easier to find a particular document/speech etc., there’s a compilation of the Table of Contents of these 13 ‘official’ volumes of Stalin’s Works, as well as Volume 14 that follows. 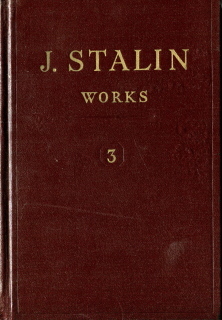 The ‘official’ collection stopped at 13 but that left three volumes not available in English – or other non-Soviet languages. 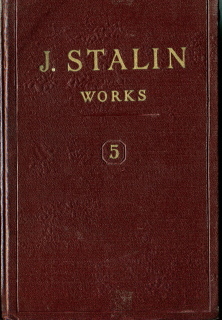 One of those three, Vol.15, was to be the History of the Communist Party of the Soviet Union (Bolsheviks). 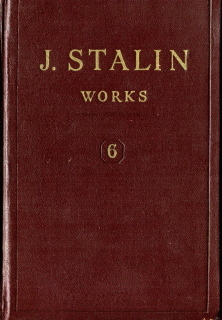 It’s publication would have been a repeat as it had been published first in 1939 (in English) and in a number of other editions before the death of Stalin in 1953. That will be found below. Volume 16 was to be a series of documents related to the Great Patriotic War – speeches, Orders of the Day, addresses to the people, etc. 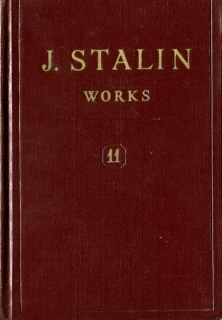 Volume 14 was due to cover the period 1934-1940 and, according to the Preface in Vol 1, would contain works ‘dealing with the struggle to complete the building of socialism in the USSR, with the creation of the new Constitution of the Soviet Union, and with the struggle for peace in the situation prevailing at the opening of the Second World War’. However, this was the most economically and politically problematic period in the history of the USSR. Issues of collectivisation and industrialisation would determine the very nature of the Soviet Revolution. Also during this period the Party and its leadership had to resolve the manner in which Marxist-Leninists are to act when faced with an internal counter-revolution, as well as external military aggression and a generally hostile capitalist encirclement (even though those same imperialist states might find common ground with the Socialist state at a particular period of time). For reasons I have yet to understand even whilst Stalin was at the head of the Party there was an idea that material related to this period should not be made public. There must have been a vast amount of material, reports, documents which were discussed at innumerable meetings, etc., before the attack by the Hitlerites. All this must be somewhere but little has surfaced after the so-called ‘opening’ of the secret files. 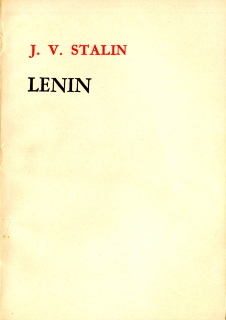 Stalin was meticulous in the way he analysed a situation (like Lenin) and six years of his work in a few hundred pages is just not possible. Volumes 1-13 were reproduced by a publishing house based in London in the early 1970s, Red Star Press. This was funded by Greek Marxist-Leninists at the time. They also produced a small number of other interesting documents about the ‘what-came-to-nothing’ resurgence of a Marxist-Leninist Communist Party in the Soviet Union. (Those documents will eventually appear on this blog.) What happened to Red Star Press and when I do not know. However, I thank them – 40 years in the future – for the work they did at the time. However, when it came to the ‘missing’ volumes they didn’t follow the original, Soviet plan. 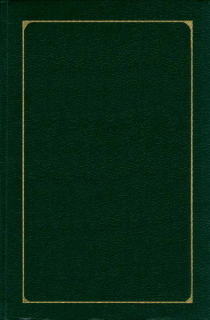 Volumes 14-16 contained a collection of writings, speeches, messages, orders and reports from 1934-1952 – but many of these documents were short and an invaluable resource for historians but lack depth for a greater understanding of the decisions made and the policy direction in the Soviet Union at the time. 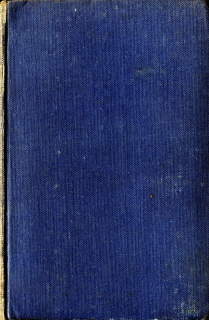 Volumes 14 and 16 are reproduced below, volume 15, covering the period 1941-October 1944, is presently not available. 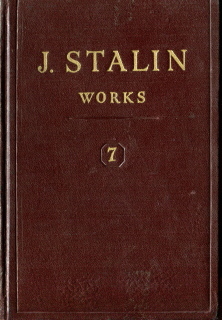 One volume (17) contained the correspondence between Stalin and the US Presidents and UK Prime Ministers he had to deal with during the Great Patriotic War. (Most of that material will eventually appear, if not in the editions by Red Star Press.) 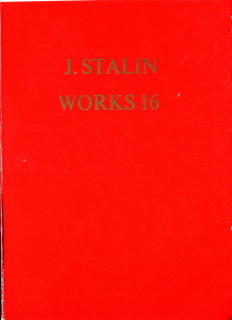 Volume 18 was a reprint of the History of the Communist Party of the Soviet Union (Bolsheviks). This is reproduced below. Below are two volumes which contain the complete war correspondence between Comrade Stalin and the leaders of the two principal allies in the anti-Hitlerite front – Churchill and Attlee for the UK, Roosevelt and Truman for the USA. 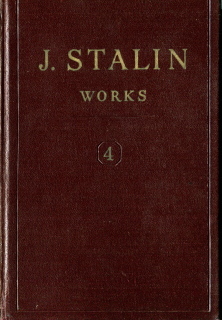 Volume 1 contains the correspondence between Comrade Stalin and the UK Prime Ministers, Churchill and Attlee between July 1941 and November 1945. 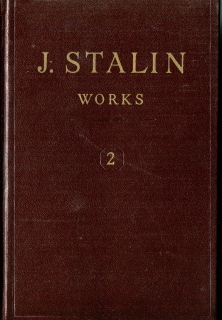 Volume 2 contains the correspondence between Comrade Stalin and the Presidents of the USA, Roosevelt and Truman between August 1941 and December 1945. 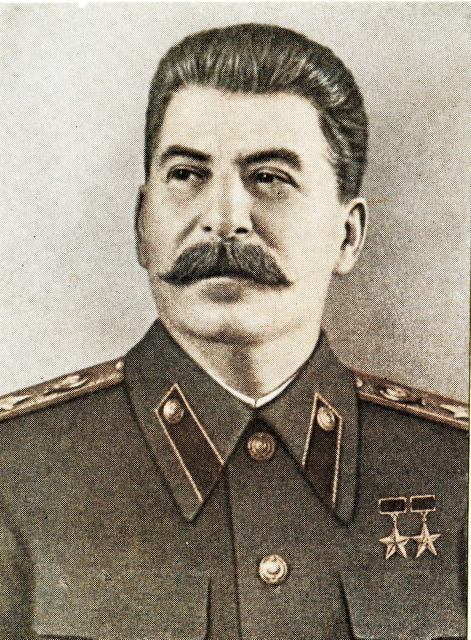 Comrade Stalin responds to some of the comments and ideas that arose out of a nationwide discussion around the proposed new Constitution in 1936. 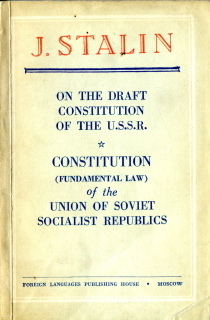 Together with the full text of the agreed Constitution, which was in force in the USSR until 1978. 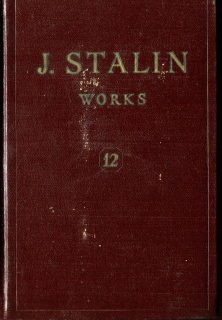 Includes two speeches given by Comrade Stalin in 1924, following the premature death of Vladimir Ilyich Lenin on 21st January 1924.